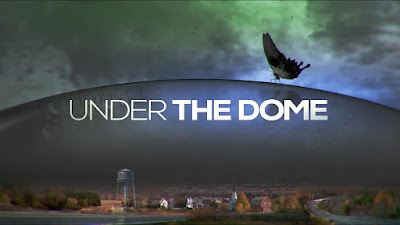 RTL CBS Entertainment HD Premieres brand new seasons of UNDER THE DOME with Marg Helgenberger. Emmy Award winner Marg Helgenberger joins the cast as therapist Christine Price, as the town’s inhabitants figure out the Dome’s purpose and what it wants from them. UNDER THE DOME season 3 returns on the channel July 1, Wednesday at 9:55pm (8:55pm JKT/BKK) with a two-hour premiere. UNDER THE DOME will be aired on RTL CBS Entertainment HD express from the U.S. UNDER THE DOME, based on Stephen King’s bestselling novel and executive produced by Steven Spielberg, tells the story of a small town that is suddenly and inexplicably sealed off from the rest of the world by an enormous transparent dome. Season 3 follows the Dome’s descent on the sleepy town of Chester’s Mill, where inhabitants have been forced to adapt. As new dangers emerge, battle lines are drawn that will alter relationships in ways none of them could imagine. For this town, the true threat to the human spirit’s resilience is no longer just the invisible dome that has cut them off from civilization – but it is the enemy within. UNDER THE DOME also stars Mike Vogel, Rachelle Lefevre, Dean Norris, Eddie Cahill, Alexander Koch, Colin Ford, Mackenzie Lintz and Kylie Bunbury with Steven Spielberg as executive producer.